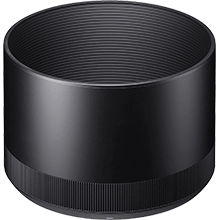 Introducing a new range of SIGMA filters to suit the new “SGV” (Sigma Global Vision) range of high optical performance lenses. Four new lines that incorporate a design that is conscious of optical quality that compliments the design build of the SGV range; Sigma Protector, Sigma WR Protector, Sigma WR UV Filter and the Sigma WR CPL Filter. SIGMA WR filters enable easier handling while shooting and feature excellent water and oil repellent as well as having an antistatic function. These WR filters are available in various sizes, both in “UV” and “Circular PL (Polarizing)”. UV type filters cut out ultraviolet rays that would normally have a negative effect on your images. Circular PL filters are ideal for removing reflections on subjects and emphasizing contrast. Moreover, we added two types of “Protector” which is to protect the lens surface. Interchangeable lenses are required to perform their best in different shooting conditions and these new range of filters will certainly ensure their performance to the fullest. The SGV range of filters are designed to avoid vignetting or the decrease in peripheral light quantities especially when the thinner wide type filters are used with SIGMA lenses. 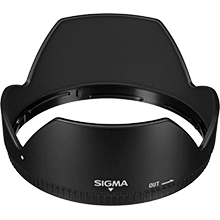 By incorporating Sigma’s Super Multi-Layer Coating, the filter reduces flare and ghosting. In addition, black rimmed glass eliminates unnecessary internal reflections, and provides high performance for both digital cameras and film cameras. 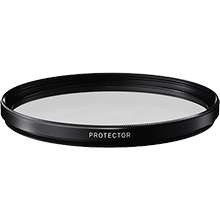 Protector is developed to protect the lens surface from dirt and dust as well as scratches. It is an ideal filter for regular use as it is completely colorless so does not affect color reproduction. We added two types of “Protector” which is to protect the lens surface. Interchangeable lenses are required to perform their best in different shooting conditions and these new range of filters will certainly ensure their performance to the fullest. 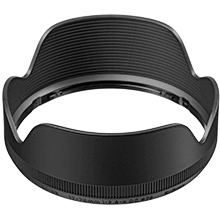 By incorporating thinner frame (except 86mm, 95mm and 105mm) to avoid vignetting even with super wide-angle lenses, it is ideal for various types of lenses from wide-angle to telephoto. 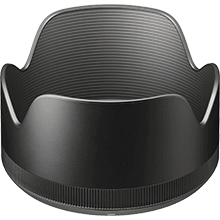 Moreover, a lens cap can be attached as the edge of frame is threaded.